Will work in a multi-disciplinary care team to effectively meet the clinical needs of the client. Services may include: individual, group or family therapy and providing crisis de-escalation/stabilization. May work with individuals and their families in various settings, including: outpatient, inpatient, home or community-based environments. Will provide professional interpretation and analysis of clinical data and assessment to formulate an individualized service plan, a comprehensive summary of care, treatment and diagnosis. This clinical role is responsible for navigating the treatment needs of the client, referring to internal and external resources as appropriate and aligning care outcomes. When appropriate, the clinician will involve family and/or caretakers in the client’s care. As a Licensed Clinician this role operates more independently and with greater autonomy. May still consult with Director of Clinical Services or leadership and subject matter experts but can sign off on client documentation using their own credentials. May see clients with private or Medicaid insurance, or non-insured insurance. • Provides effective and professional, evidence-based, individual, group and family therapy primarily for Spanish Speaking Individuals. May include treatment of co-occurring (MD and SUD) clients. • Delivers services that meet the social, cultural, and linguistic needs of patients. • Participates in interdisciplinary treatment planning. • Provides crisis intervention consultation to all members of the team. • Participates in agency-wide training programs and in-services. • Provides information, resources, referral and advocacy for clients to meet emergency or long term self-sufficiency needs. • Licensed Clinician (LCSW, LPC, LMFT, Licensed Psychologist) in good standing in the state of Colorado. • Must have sufficient language skills and be able to communicate both verbally and in writing to accurately and professionally implement and document the services provided to clients. • Must possess basic computer skills and type 25+ w.p.m. for the input and output of client information, using electronic record. • Experience using various treatment modalities appropriate for specified population, utilizing strength-based therapeutic approaches. • Experience working in a team environment. Salary Commensurate with experience. paid holidays; vacation, and sick leave after a 3-month probationary period is completed. Centro de la Familia strives to be a cultural anchor for Hispanic/Latino families by providing an array of services to assist them in meeting the challenges of a successfully adapting to and living in a new and diverse culture. Centro de la Familia began providing culturally competent domestic violence counseling and advocacy services in 1996 at the request of Colorado Springs’ Center for the Prevention of Domestic Violence, now known as TESSA. Centro has played a vital role in reducing the gap of lack of bilingual therapist in el Paso County and surrounding areas. 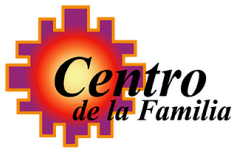 Currently, Centro de la Familia is the only services agency in El Paso County dedicated to providing “one-stop” culturally competent services consisting of counseling, child play therapy, support groups, evaluations, holistic advocacy, victim support, and parenting education to the Hispanic/Latino population. Responsible for writing proposals for both unrestricted operating revenue and restricted projects and for submitting timely and accurate reports for all existing grant funded projects. • Responsible for conducting the full range of activities required to prepare, submit, and manage grant proposals to foundation and corporate sources. • Perform prospect research on foundation and corporations to evaluate prospects for corporate and foundation grants. • Work with CPA to gather information necessary to report to corporate/foundation funders on current grant programs. • Comply with all grant reporting as required by foundation/corporate donors. • Understanding of agency history and programs. • Make appointments for Directors with Foundation officers and other prospects, arrange for onsite tours for supporters (foundation officers, foundation trustees). • Maintain current records in database and in paper files, including grant tracking and reporting. • Work with Director and CPA to provide development input for all written agency materials (including Annual Report, Newsletter, Board meetings, etc.). • Assist with other fundraising projects as requested. • Culturally Competent with strong awareness of Latino issues nationally and locally. • Minimum of two years of experience with grant writing. • Previous experience with non-profit fundraising preferred. • Able to monitor and meet income goals. • Knowledge of fundraising information sources, including sources for Latinos and mental health. • Experience with proposal writing and agency donors.